Wundowie's main playground is looking brand new after some recent work on it. 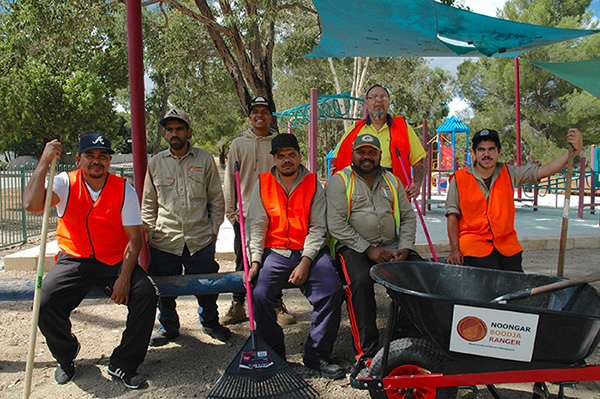 The Shire of Northam manages the site and sought the assistance of Wheatbelt NRM’s Noongar Boodja Rangers to undertake the work, which involved seven rangers working hard over two days to resurface the playground area with hundreds of tonnes of white river sand. The local Wundowie community has provided great feedback following the resurfacing, saying that the new playground has been very popular with local children. Noongar Boodja Rangers are a team of enthusiastic local Aboriginal community members who are gaining work experience and developing skills in natural resource management. They enjoy working ‘on country’ and are also available to undertake work for the wider community.